Fully focussed selfies with a 50cm minimum focus distance. 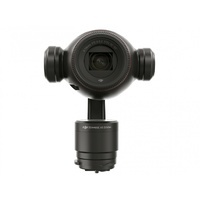 With a 3.5x optical and 2x lossless digital zoom, the Osmo+ offers up to a combined 7x zoom when shooting in 1080p resolution, and up to 3.5x optical zoom in all other resolutions. 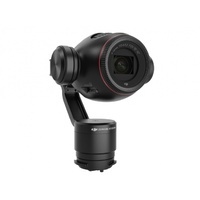 The Osmo+ features a 4K camera capturing DCI 4K (4096 x 2160) resolution at 24/25 fps, Ultra HD 4K (3840 x 2160) at up to 30 fps, 2.7K, and Full HD 1080p at 24-120 fps. It also provides sharp 12MP still photos in JPG or Adobe DNG RAW for complete editing flexibility. The Osmo+ is designed with advanced stabilization to help you shoot smooth video from a long focal length, and is optimized for increased stability during stills capture. A minimum focal distance of 50cm means you're perfectly in focus when shooting an action selfie. Just triple-tap the trigger button to enter Selfie Mode and start shooting. AutoFocus is always available by tapping the part of the scene you want focussed. Osmo+ helps you easily record the passage of time. Just mark where you want the camera movement to start and end, then tap 'Start' to create moving timelapses without additional specialist equipment. Take big, detailed landscape photos using only your phone and the Osmo+. The Panorama function automatically captures and blends nine separate photos together to create one stunning panorama. Take long exposure shots with absolute sharpness, even without a tripod. The stabilization system in the Osmo+ keeps the camera still so you can freehand-capture long exposures. 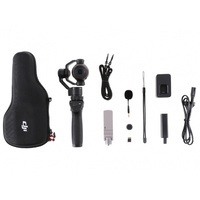 Audio can be captured via an on-board mic or the included external FlexiMic. Or add an optional Rode mic for unbeatable audio quality. 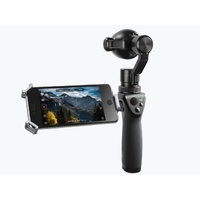 The detachable handle features a joystick and other controls, and can be easily upgraded to a DJI X5 camera in the future if required. 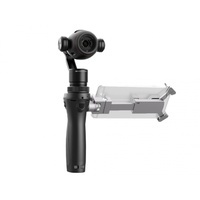 Your phone can be mounted in the included holder on the handle to display a live feed from the camera via a high-speed Wi-Fi link, using the DJI GO App. You can monitor your shots and the live zoom. Your phone can also remotely control and monitor the Osmo+ from up to 25m away. 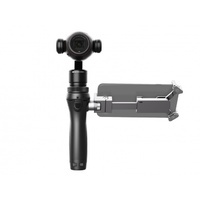 Osmo+ is also compatible with various Osmo mounts for expanding your modes of use. With a battery life of 90-100 minutes per charge, it comes with the new 1225mAh High Capacity battery and the upgraded charger, plus a storage case and other accessories. It includes a 16GB microSD card and will accept up to 64GB cards. We strongly suggest adding an Osmo Base to your purchase so that it can be operated hands-free as well. 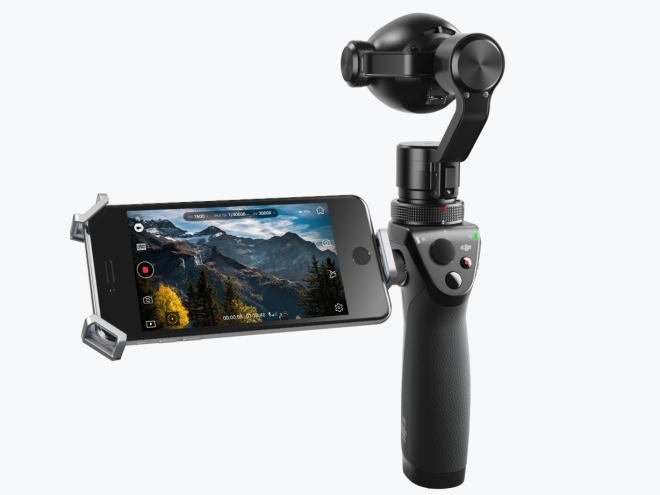 By taking the original and very popular Osmo and adding an optical zoom lens, DJI may have created the perfect affordable handheld camera for smooth and stable cinematography.